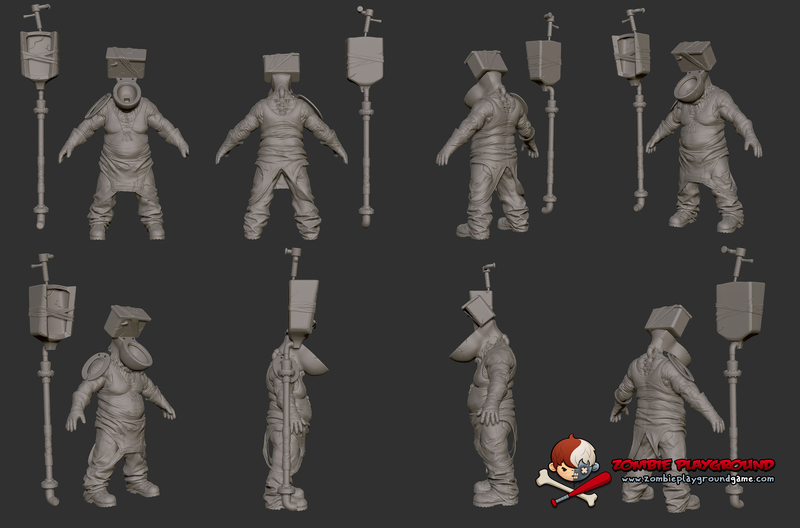 ZPG - 3D Sculpts - More Janitor Love - !SPOILER ALERT! 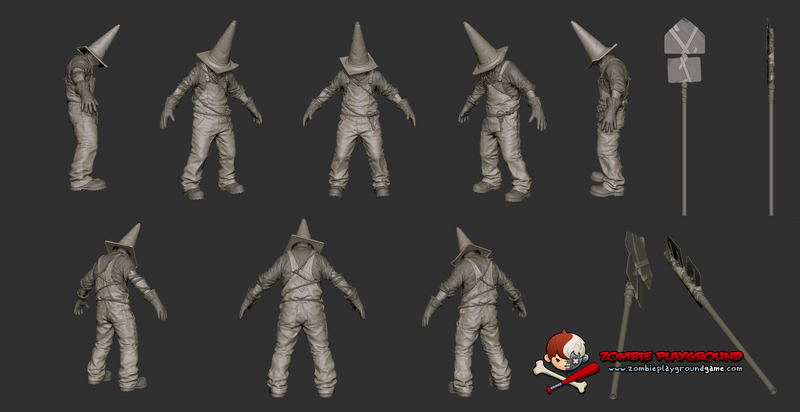 We've got more Janitor 3D sculpt love for you today; one of which is an exclusive 'not yet revealed' Janitor. So, here's your SPOILER ALERT, close your eyes and DO NOT scroll down if you don't want to know! ...but can you really stop your mouse wheel from scrolling on it's own? ? CLICKY IMAGES TO ENLARGE! Mega badass sculpt! I love the concept! If I could draw my expression would be posted here. I guess when we see the new Janitor URINE trouble! Sorry for the bad pun! haha, that was surely NOT a bad pun, lol. Well... didn't see that one coming. I haven't been this scared of toilets since that creepy hand from Majora's Mask. Thanks Massive, i won't be needing the bathroom for a while. I bet he has a potty mouth. I side with vector, I'm not peeing in a toilet ever again. Now, If you guys do something freaky with a tree or a bush, my bladder will explode. Just a thought if you ever want me sent to the ER.